The old classic has undergone a revamp. Being transformed into a modern and unique sports car. The Volkswagen Scirocco is now more dynamic, sleeker and sportier than ever before and all backed up with leading technology to propel the car of the past into the future. Available in 7 versions from the entry level yet still feature packed Scirocco to the Scirocco R which boasts high performance at o-62mph in just 5.5 seconds. Each version is well equipped with leading technology to aid the driver. The engine options available can offer both power and fuel-economy too. alloys, dusk sensor and automatic rain sensor. The entry level version can go from 0-62mph in an impressive 7.4 seconds. Boot space is 312 litres which is more than enough for most journeys long and short and of course the family big shop. The split seats further increase space to 1,200 when folded down. 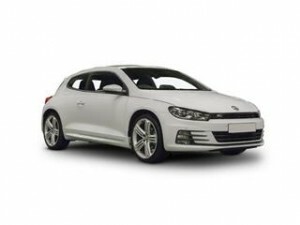 Build the Volkswagen Scirocco of your choice online with our Coast2Coast Cars free quote service. It’s our simplest quotation system ever and gives you access to great money saving deals within minutes. We offer a personal and professional service and could save you thousands on your next car. At no point are you under any obligation to accept the quote and we can help with finance too subject to status. Our service is entirely free and we can take the hassle out of buying a new car.